Can you feel it? The palpable tension, the bubbling excitement and the expectant eyes of the world narrowing their collective focus? The world’s biggest sporting spectacle is here, and it brought its party vibe – it’s Rio 2016! On the eve of the Games of the XXXI Olympiad, representatives from a record number of countries strode into Maracanã Stadium, bedazzled by some 75,000 spectators and camera flashes. And this Opening Ceremony, marking the official launch of the 2016 Olympic Games, gave more people around the globe cause to exude their nationalistic pride than ever before. Athletes from an incredible 206 nations will compete at the 2016 Summer Games, including an independent team of 10 refugees who made history when they marched under the Olympic flag. And, let’s not forget first-time Olympic participants South Sudan and Kosovo. Yes, with some 11,178 officially registered athletes competing in 306 events across 42 sporting disciplines at 37 venues, the 2016 Olympics is set to be an event of genuine worldly proportions. 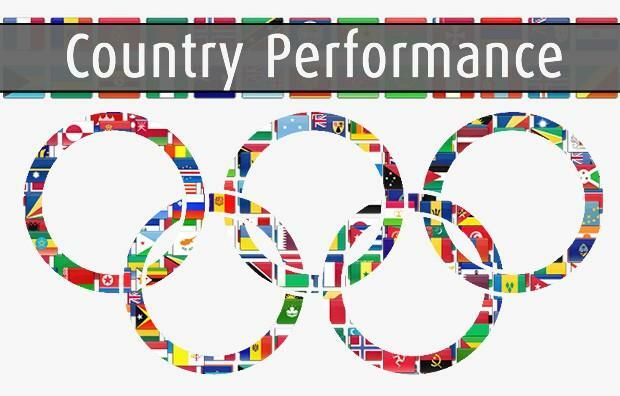 But, which countries will be best represented at Rio 2016? And which nations are punching above their weight? As usual, the USA are looking to dominate both the medal tally and head count, sending a whopping Olympic squad of 550 athletes. As is often the case, the host nation has bankrolled a big brigade of competitors, with Brazil boasting 464 entrants. Germany rounds out the podium positions, contributing some 420 participants. With a population of just 24 million, Australia has historically – and again at Rio 2016 (418 athletes) – contributed large teams compared to the populace from which it has to choose. The Chinese contingent scrapes into the top five biggest ensembles ahead of France (393), with President Xi Jinping’s China sending 398 representatives to the 2016 Summer Games. The remarkable size of Australia’s Olympic squad compared to its population, and by contrast with the rest of the five largest national teams, is highlighted if its population is divided by the number of competing athletes. For example, Australia has one Olympian for every 57,416 citizens. Interestingly, while America has the most expansive team at Rio 2016 (with 132 more competitors than Australia), the US only has one athlete per 585,454 residents. So, as a ratio of athletes to inhabitants, Australia is in fact over 10 times better represented than the USA. Aside from Kuwait (0 athletes), which was banned by the IOC, and Russia, which was partially banned for state-sanctioned doping, other countries simply had small Olympic contingents to begin with. Tuvalu has the smallest Olympic delegation of all competing nations, with just one entrant (Etimoni Timuani, 100m sprinter). Of the other countries making up the ten smallest contingents at Rio 2016, Bhutan, Chad, Dominica, Equatorial Guinea, Liberia, Mauritania, Nauru, Somalia and Swaziland all have two athletes partaking in the Games of the XXXI Olympiad. The ability to train, support and send athletes to major sporting events, including the Olympics, is often directly associated with socio-economic indicators. Is it any wonder then that six of the ten smallest teams at Rio 2016 represent African nations (Chad, Equatorial Guinea, Liberia, Mauritania, Somalia and Swaziland)? Conversely, while the above map shows the African continent covered in a swathe of small dots that frequently represent single figure Olympic line-ups, the cluster of larger dots over Northwest Europe demonstrate most-often both higher team numbers and living standards. Keep a look out for our series of Olympic data blogs, appearing every week day until Rio’s Closing Ceremony (21 August).